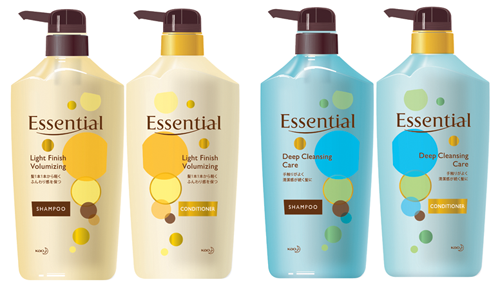 Out of these FOUR variants, the new Essential Light Finish Volumizing (yellow) and Deep Cleansing Care (blue) variants are specially catered to combination hair. Both variants have the optimum combination of Smart Cuticle Care & Sebum Cleansing Technology to target combination hair. As a result, you will experience the best of both worlds with one product – airy light roots and moisturized ends. So, what is "Combination Hair"? I bet you guys are familiar with 'combination skin'. 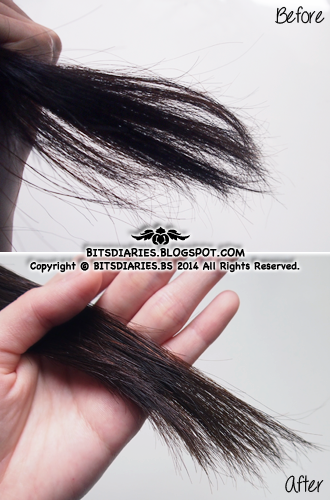 'Combination hair' has the same concept as 'combination skin', where hair condition on the root and tip is different. In simple words, combination hair means having more than one hair condition. I guess not many people are familiar with the term 'combination hair' as no other hair care brand has talked about it. 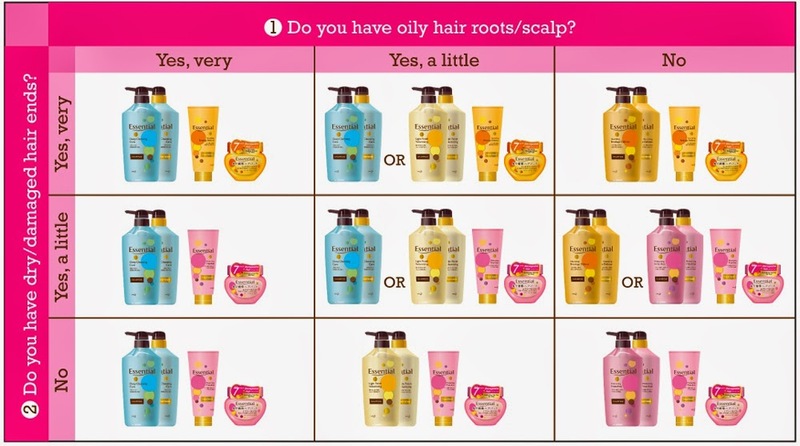 Moreover, majority of the hair care products in the market offer solutions for normal, dry, oily, damaged hair but none or maybe very few offer solution for a mix of oily hair scalp/roots and dry ends. I, myself, have combination hair and the only way to treat my hair problems is to use two different hair care products. One targets oily hair issue while another targets dry hair issue. I have to admit that this isn't the best solution for combination hair as the product tackles oily hair tends to make my dry ends even drier, while the other that tackles dry hair tends to make my hair oilier. 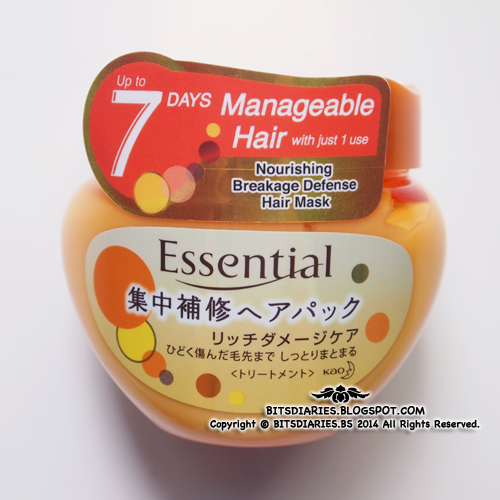 Hence, when I heard that TWO out of FOUR new Essential hair care products are specifically for combination hair, PLUS I was given a chance to try them out..., I was extremely elated and excited laaaaa~! lol. Prior receiving the hair care products, I was required to complete a two questions short survey that will help to determine the right hair care range for my hair. 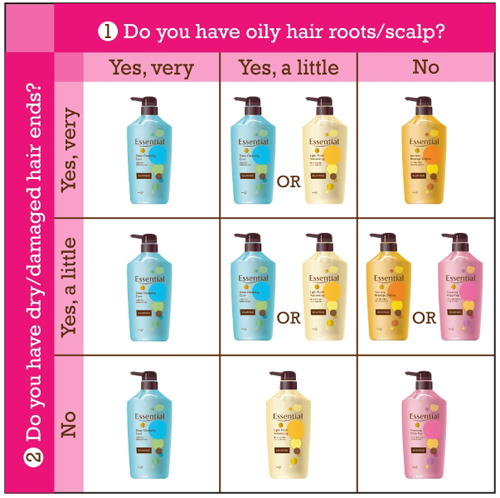 'yes, a little' oily hair roots/scalp and 'yes, very' dry/damaged ends. 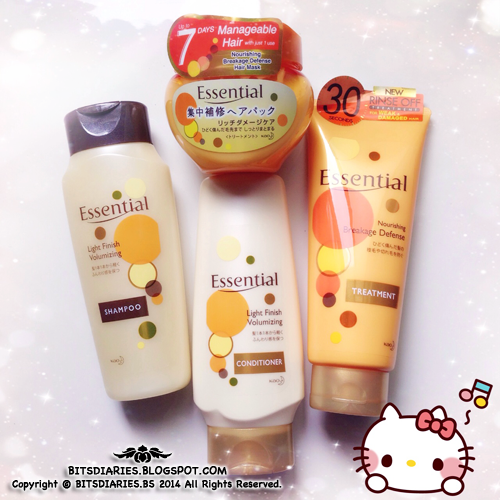 So according to my answers, I was sent the Essential Light Volumizing Shampoo and Conditioner (Yellow) as well as their Nourishing Breakage Defense Hair Mask and Treatment (Orange). Without further ado, I will just jump into the reviews, starting from the shampoo followed by the conditioner, hair mask and treatment. Usage: Massage onto wet hair to lather. Rinse off completely. Suitable for daily use. For optimum results, use with Essential Light Finishing Volumizing Conditioner. 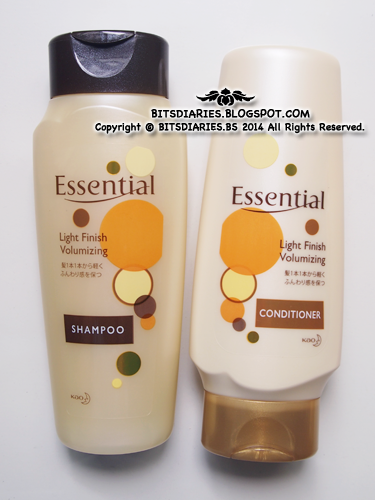 Usage: After shampoo, gently massage conditioner onto hair. Rinse off completely. Suitable for daily use. For optimum results, use with Essential Light Finishing Volumizing Shampoo. 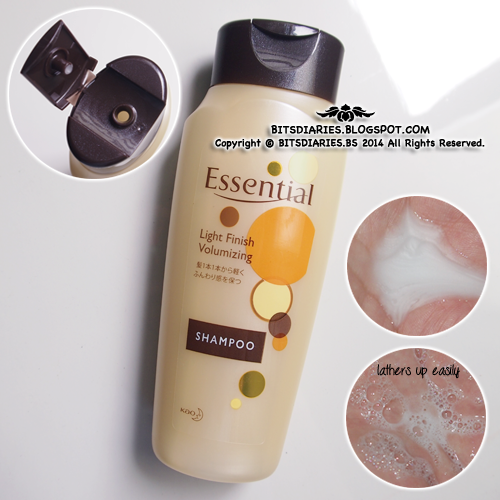 Verdict on the Light Volumizing Variant: This lightweight shampoo lathers extremely well, like a little goes a long way! With Smart Cuticle Care and Sebum Cleansing Technology, the shampoo effectively removes excess oil and product buildup from the scalp/roots at the same time, it repairs and smoothens damaged cuticles evenly from root to tip. 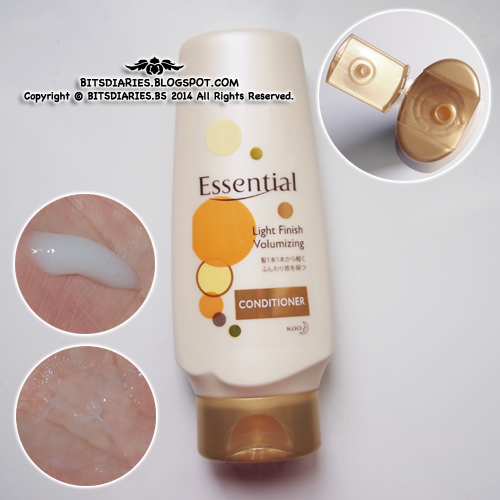 Whilst the conditioner moisturizes the hair ends without being too rich or oily. In general, this Light Volumizing variant kills two birds with one stone – it keeps my hair clean and airy light, maintaining a refreshed, breathable hair scalp/roots and a moisturized hair ends! Perfect for combination, flat and limp hair! - Smart Cuticle Care with Microfine All Smooth Essence replenishes lost nutrients in damaged hair. Smoothens and repairs damaged cuticles for healthier hair. Usage: After shampoo, squeeze out excess water on the hair and apply an appropriate amount of hair mask evenly to the last 15cm of your hair. (Note: DO NOT apply hair mask on your scalp. Apply to hair ends only.) Leave it on for *3 to 10 minutes. *For longer-lasting manageability, leave hair mask on longer – 3 minutes: up to 3 days or 10 minutes: up to 7 days. Verdict on the Nourishing Breakage Defense Hair Mask: I believe you guys have heard a lot of raves about this hair mask before. I tried it before and it was one of my holy grail hair products in year 2012 and 2013. 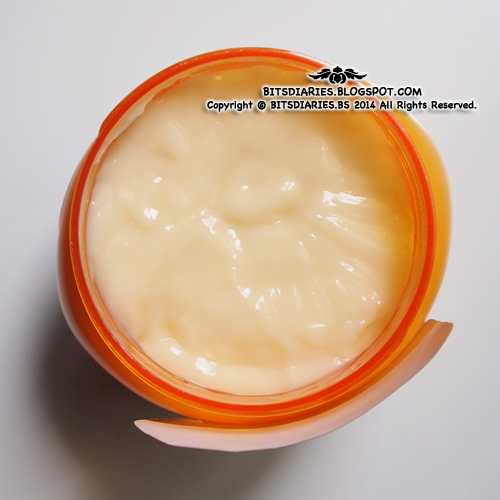 It intensively repairs severely damaged hair and prevents hair breakage and split ends. It instantly gives damaged hair a deeply moisturized, shiny and silky soft finish. Your hair will become more manageable as well. What's more? With a new, improved formula and technology, the results are more effective and longer-lasting (last 3 to 7 days)! The only thing I dislike about is the amount of leave-on time/waiting time required. Frankly speaking, I skipped the step of hair mask many times because I'm either in a rush or I'm lazy to wait for 3 to 10 minutes. Have you experienced the same situation when you are feeling lazy or you barely have time to do a hair mask? No worries! 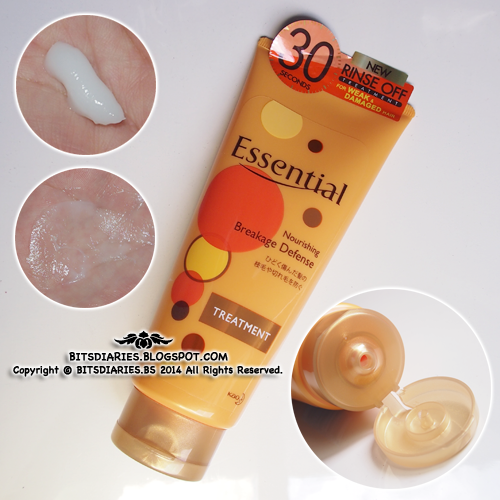 Essential has launched a new treatment product which only requires to leave-on for 30 seconds!! - leave-on requires only 30 seconds! Verdict on the Nourishing Breakage Defense Hair Treatment: The texture is richer than the Light Volumizing Conditioner but is less richer than the Nourishing Breakage Defense Hair Mask. Anyway, it magically does what it claimed in just 30 seconds, leaving weak hair deeply nourished, silky soft and manageable. However, the results don't last as many days as the results given by the hair mask. Thus, for a more intensive treatment, use the hair mask at least once a week. Despite that, this treatment is a perfect choice for lazy days or days when you're in a rush as you only need 30 seconds to achieve a silky soft healthy hair! So, here's the before and after results of my hair. The "Before" picture was taken prior using the Essential hair products. FYI, I do have really dry, frizzy and damaged hair ends and it probably looks worse than a broom... LOL! The "After" picture shows the magic transformation after using the set of Essential hair products for 10 days. I will use the conditioner, hair mask and treatment on a rotational basis. After using the products for 10 days, I noticed a significant improvement. When I finger combed through whether wet or dry hair, it felt surprisingly smooth, tangle-free and very manageable! The products strengthened my hair, balanced the oiliness of my hair scalp/roots yet moisturized my hair ends. Also, with the absence of tangles, water does not get trapped between the tangles hence, it sped up the process of blow-drying my hair. The results were instant and noticeable! Honestly, I am able to feel the difference after one use! Now my hair feels so silky soft and smooth that I couldn't stop running my fingers through it~ *constantly touching my hair hahahaa~* Not to mention, the products have amazing fragrance which I absolutely adore! Healthy, manageable hair is just a switch away! Switch to new Essential today! 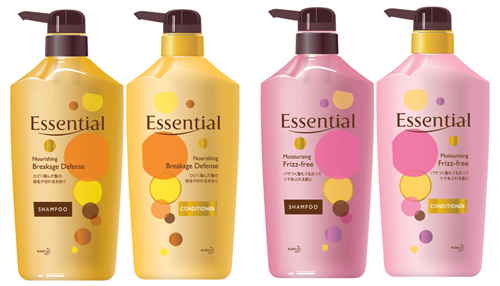 The new Essential is now available at leading supermarkets, hypermarkets, western pharmacies and personal care stores. Prices start from SGD$4.50. Hey dear!! I have also heard about this famous essential brand. The products of this brand are just wonderful. I am using these days revivogen hair product just to get my lost hairs back. Every one shared great reviews of this product with me.